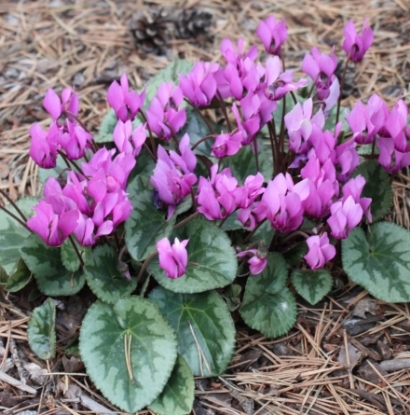 This group represents seedlings of plants found in the Lake Garda area, located at the Southern edge of the Alps in Northern Italy. 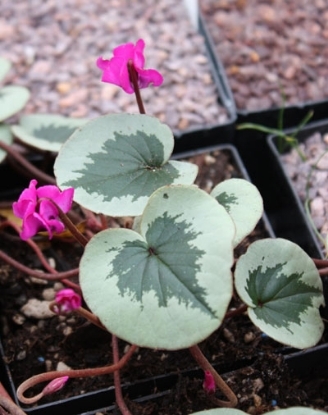 They distinguish themselves with strong markings on the leaves and dark flower color; dark pink to magenta. 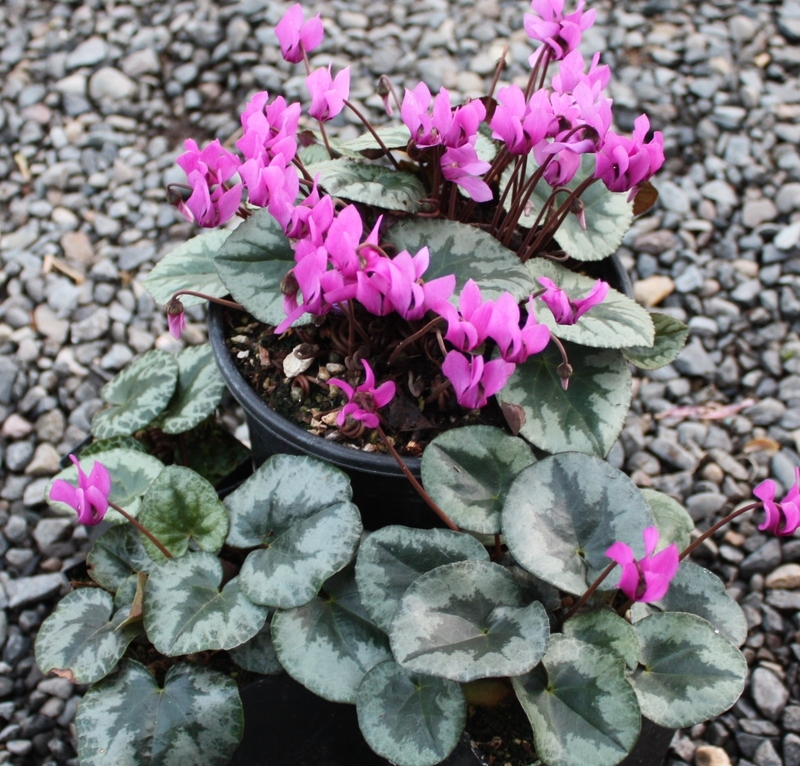 Prefers well drained soil like all Cyclamen but is best in moist soil in summer.